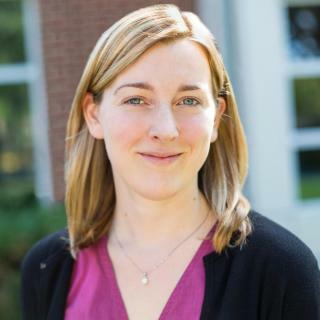 Jennifer Hadden, Associate Professor in the Department of Government and Politics at the University of Maryland, will present "Beyond Coal? Exploring Global Variation in Protests Against Proposed Coal-Fired Power Plants" on Friday, January 25. Due to the heavy greenhouse footprint of coal-fired electricity, reducing the amount of coal in the fuel mix will be necessary for many countries to achieve their climate policy goals and, by extension, for the successful implementation of the Paris Agreement. Public opposition to coal in some locations – including sites in India, Indonesia, and the United States – has become an important factor in project development. In other places, support for coal is more widespread. What explains variation in public opposition to proposed coal-fired power plants? This project argues that transnational politics play a significant role in spurring public protest. In particular, the presence of foreign INGOs drives public opposition to coal, as does the presence of a foreign project developer. This paper draws on an original global dataset of proposed coal fired power plants to make these claims, showing that transnational factors surpass both local grievances and domestic political opportunities in their influence on mobilization. These findings have implications for scholars of social movements and environmental politics, as well as policy implications for campaigners, developers, and policy-makers. Friday, January 25, 2019 - 10 a.m. to 11 a.m.